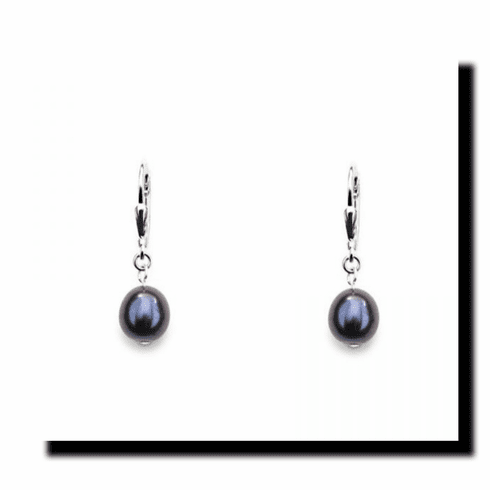 These gorgeous drop earrings are a pair of black 8mm Freshwater pearls with lever-back sterling silver. The color has an opalescent sheen that changes with the light and offers a purplish sheen. Gift Boxed.